Appearance: Ruby red with lots of bubbles. Nose: Pomegranate, cranberry, red raspberry. On the palate: Effervescent and dry. Not nearly as tart as the nose suggests. More pomegranate, but fades into a grapey flavor with a hint of foxiness. Finish: Still dry but fairly tart. The cranberries pop up again only to fade into sparkling mineral water. Parting words: I was skeptical when I saw the word “dry” on the label of Blushed, but it dry it is. It’s color is more like a bleed than a blush, but the dark color is attractive. 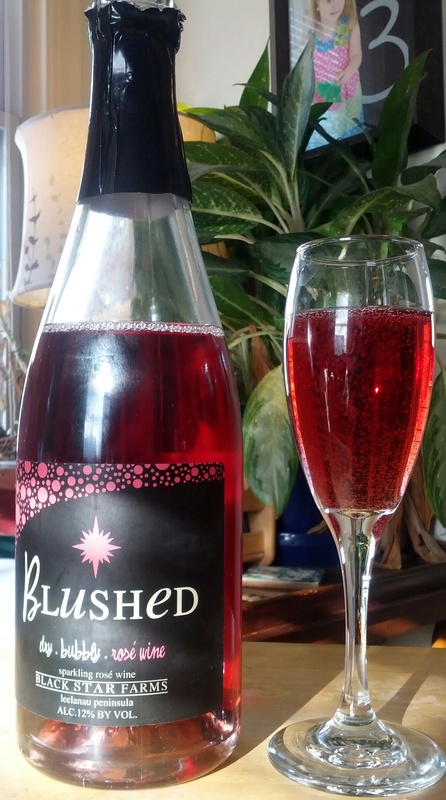 Blushed would make a nice change of pace for a sober first round on New Year’s Eve or casual summertime sipping. It is very good in a champagne cocktail (sugar, bitters and sparkling wine). Adequate in a mimosa. The price is right and so is the wine. Blushed is recommended.